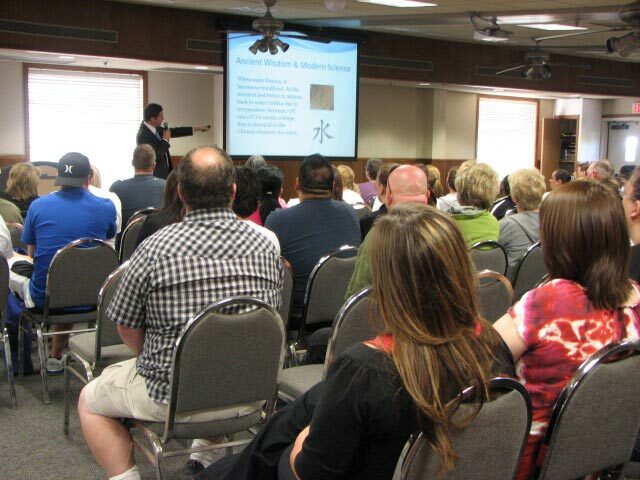 On April 12, 2012, Falun Gong practitioners in Phoenix, Arizona, were invited to introduce Falun Dafa at a large company. More than 170 company employees participated in the workshop. 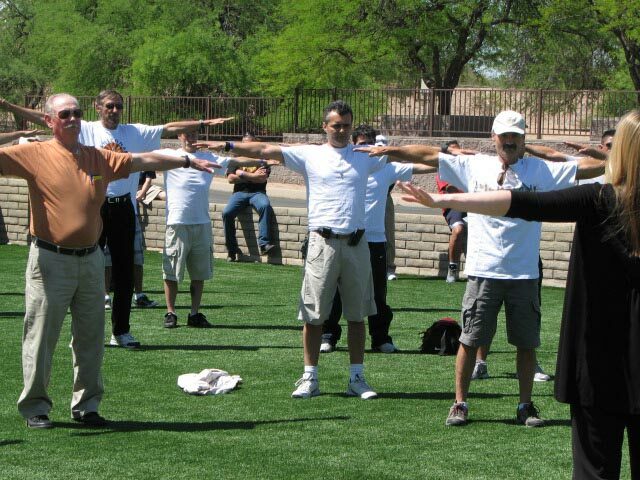 Teaching the Falun Gong exercises to employees of a large company in Phoenix. 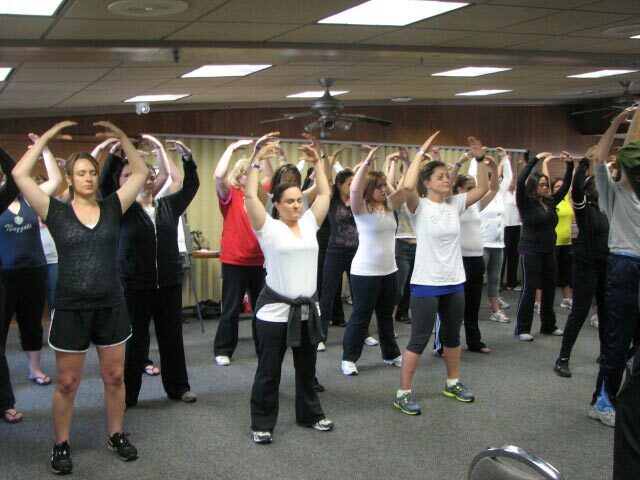 More than 170 people learned the exercises. Some employees were able to sit in the full lotus position for the fifth exercise the first time they tried it. The company is one of America’s top 500 companies. The human resources manager explained that she was planning to hold an annual large scale health event for their employees. 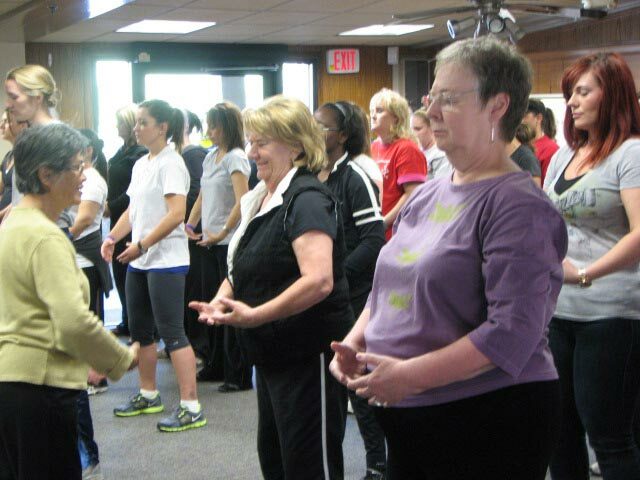 She thought about meditation and health and found the Falun Dafa website during an online search. She called to inquire and learned about Falun Gong after talking with a practitioner. She said excitedly that Falun Dafa would be a wonderful gift for their employees, and decided to invite the practitioners to come teach the practice. On the morning of April 12, six practitioners arrived at the PERA Club, which the company had reserved for the occasion. Three Falun Gong introductory sessions of 50 minutes each were held in the morning and afternoon. 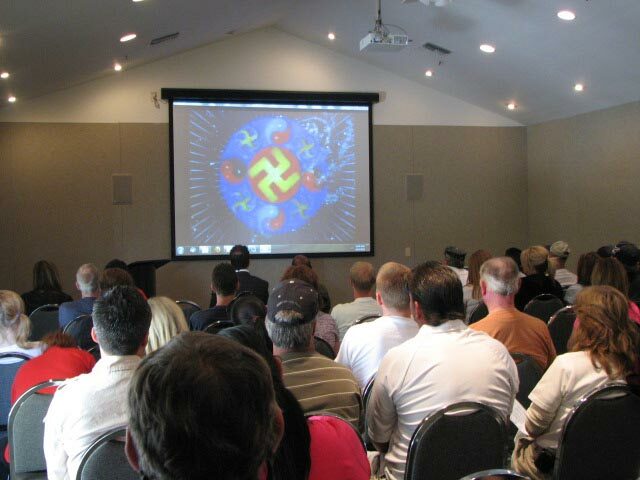 Because there were so many people learning the practice, men and women were separated for easier learning. 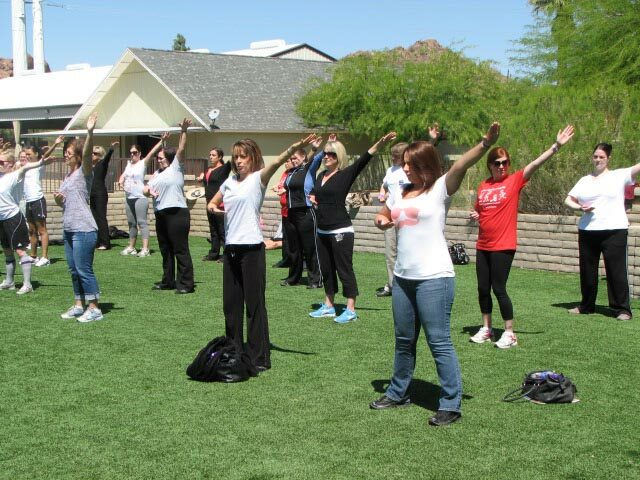 The first session was held indoors, and the second and third sessions were held outdoors. Some people were so interested in Dafa that they participated in all three sessions. More than 170 employees participated in the event. They paid close attention, and some could even sit in the full lotus position for the fifth exercise the first time they tried it. 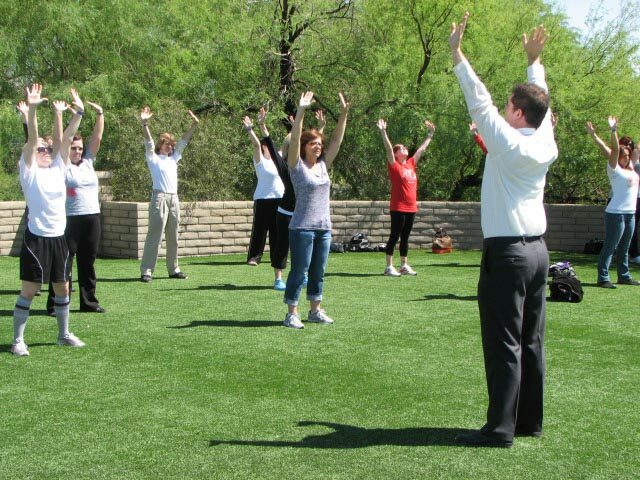 Many employees said that after learning the exercises they felt a peaceful energy field and were mentally calm. Ninety per cent had no experience of meditation before. They were surprised that they felt so relaxed after learning the practice for such a short time. Most of them heard of Falun Gong for the first time and had a very good impression of it. The company organizer of the event was appreciative of the fact that the practitioners taught the exercises and provided information about the practice voluntarily.